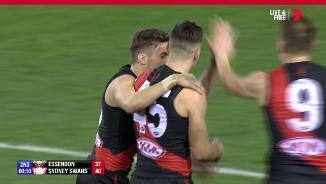 John Worsfold says the newly re-signed Conor McKenna shapes as a figure in how the team wants to transition out of defence in the coming years. 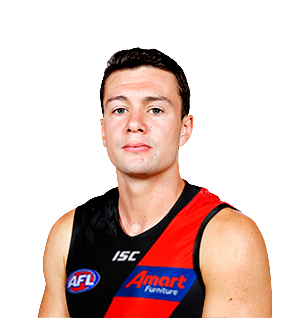 Essendon Football Club is pleased to announce Conor McKenna has re-signed with the Bombers for a further four years. Dashing defender from County Tyrone who once again elevated his game in 2018 as he continues to learn the intricacies of the game. Never afraid to take the game on, McKenna’s best weapons are his speed and aggression, which he uses to repeatedly break the lines and shut down his more experienced opponents. 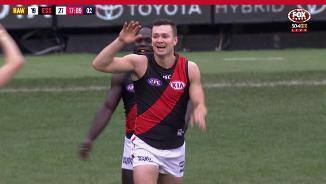 McKenna deservedly earnt a spot in the AFLPA’s 22Under22 side after averaging 18 disposals, four rebound 50s and three inside 50s per game in just his fourth year of football. 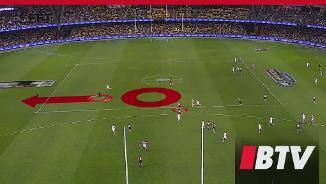 A tidy user of the football, McKenna still has plenty of scope to improve and will be ready to have another fruitful campaign in 2019.